Welcome to January. It is the very short time of year when it seems like the whole world is on a health kick. January 1st rolled around and everyone repented for their Christmas sins, swore off the sweets, and committed to getting back to the gym. You can't turn on the television without seeing ads for weight loss products, talk shows about diet and nutrition, and even the news channels are doing health segments. If you made resolutions this year to live a more healthy lifestyle, I am cheering you on! I want everyone to succeed. Please just don't forget that the New Year is not the only opportunity to resolve to make changes. You can make significant lifestyle changes any day of the week or any hour of the day. Instead of New Year's resolutions this year, I am posting my anti-resolutions. These are the things that can be a part of the healthy balanced life, but seem to contradict some of the standard resolutions out there. It is a common resolution to join a gym in the new year. Just remember not to over do it at first. If you go from not working at all to going five days a week, you will burn yourself out quickly. Start slow, ease yourself back into the routine. I plan to stay away for at least two weeks until the crowds die down. I prefer the outdoors anyway. Lots of people start new diets on January 1st. Diet's just don't work. If you go on a diet to lose weight, it will come back when you stop. I will just eat healthy whole foods most of the time and eat whatever I want in moderation the rest of the time. Think long term. I've seen people give up alcohol for their New Year's resolution and have even considered it myself. But, no. I think I'll keep drinking it by the gallon sipping on wine. Life is too short not to enjoy it. Moderation is the key. I love pizza with pepperoni. It makes me happy. I resolve to do more things that make me happy and that includes pepperoni. On a happy scale of one to Disneyland, pepperoni pizza is a solid eight. Sleep is an often overlooked important part of a healthy lifestyle. Sure, sometimes I like to work out early in the morning, but if my body needs sleep, I am going to sleep. No guilt. Confession time. Remember when I told you about how I signed up to run a full marathon in Huntington Beach? I even wrote a nifty little poem about it. Well my training sputtered out at about mile 16. I simply just did not want to do it anymore. I love to run so much and I started to completely dread my long runs. I was sensing a major burnout coming on. I ate the registration cost, but saved myself a plane ticket to California, so I'm even. Not to say that I won't ever run a full marathon, but it certainly isn't happening the first week of February. I am not completely a scrooge when it comes to New Year's resolutions. I think they are great as long as you continue to evaluate, adjust, and make new goals throughout the year. I wrote a poem about my own resolutions, called Dear Me. What about you? 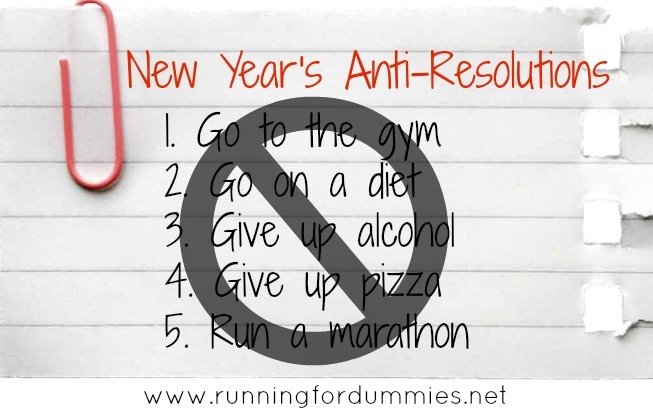 Do you have resolutions or anti-resolutions? Love this and wholeheartedly agree with all except the marathon one (for myself that is). 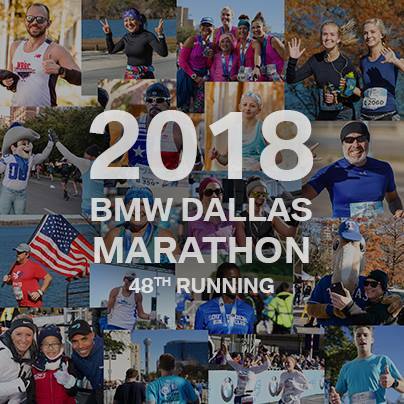 But definitely end the marathon distance once you start to hate your runs! I went through that in the summer because I really hate running for hours in the heat. I think I will train for it again some day, I just got burned out and the race was just around the corner. I had to pull out. :) I guess I'll stick to half marathons for now. I agree that new years isn't the only time to make changes, that's why I do the monthly best foot challenges. I do think for some people though it feels like a clean slate and measurable period to track change, so if they can find a way to make it work power to em!! I made my biggest changes last June (right not Jan 1st)....I've been doing my best consistently since so when I made my new year's goals I am just improving on what I've already started. Awesome! What I got from this was: be healthy, stay happy. Fantastic anti-resolutions. I have plenty of goals for this year, but sleep and fun are high on the list too!